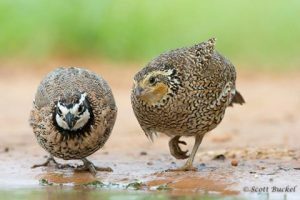 One group of birds that I never tire of are quail. I remember hearing them frequently in the summer growing up, and I enjoyed listening to these birds while at Laguna Seca Ranch recently. To me, the calls of Bobwhites just sound like summer to me. Well, maybe I just like cute short chunky birds.